Sandra Richtermeyer is dean of the Manning School of Business. She brings more than 25 years of higher education experience to UMass Lowell, including more than 12 years in academic leadership roles ranging from global professor-in-residence of the Institute of Management Accountants to department chair and associate dean of the Williams College of Business at Xavier University in Cincinnati. She works actively with a variety of professional organizations and is a frequent speaker on topics related professional development and leadership. Richtermeyer’s teaching and research interests are in the areas of corporate governance, accounting information systems, and nonprofit and governmental accounting. Her research interests include technology enablement and enterprise systems, non-profit accounting, and corporate governance. Richtermeyer has authored many articles in academic and practitioner publications and has more than 20 years of experience on boards as well as technology and accounting related advisory committees. In addition to her academic background, she worked as a CPA for many years in Denver with a practice focus on compliance, assurance and systems implementation. Richtermeyer served as the Global Chair of the Institute of Management Accountants from 2010-2011. She is the 2013-2014 Ohio Accounting Educator of the Year and the 2011 American Women’s Society of CPAs Educator of the Year. 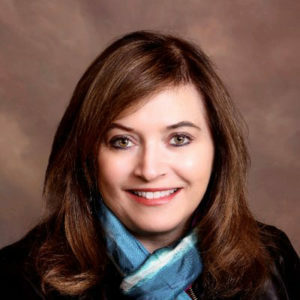 She is the 2013-2014 President of the American Accounting Association (AAA) Ohio Region and a Vice President on the board of the AAA Accounting Program Leaders Group. She has also served a member of the Executive Board of the Ohio Society of CPAs, a board member on the Committee of Sponsoring Organizations (COSO) of the Treadway Commission, in addition to service on the U.S. Comptroller General’s Green Book Advisory Council. Richtermeyer holds both her Ph.D. in accounting and her M.S. and MBA from the University of Colorado.